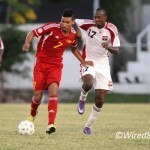 DirecTV W Connection owner David John Williams has defended his club’s transfer policy after criticism from Trinidad and Tobago national senior team and under-20 coaches Hutson “Barber” Charles and Ross Russell respectively. 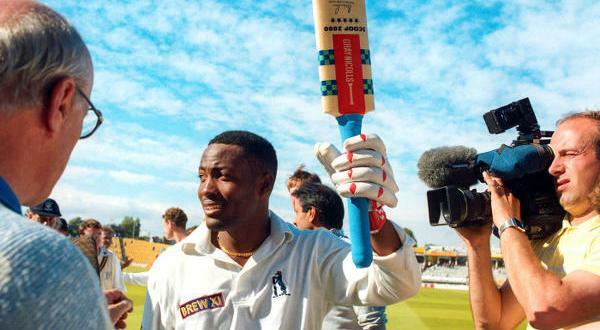 Charles and Russell, who are both soldiers and former national players, criticised Williams for supposedly disrupting team preparations by withdrawing squad members for trials. Russell, whose under-2o team was eliminated at the Caribbean stage in Jamaica, was upset that teenager Neil Benjamin was sent to a trial at Italian outfit, Genoa, before the qualifiers and complained that the player was not himself on international duty. Former national under-23 coach Angus Eve had a similar grouse, earlier this year, about the late availability of attacker Shahdon Winchester. Williams said Connection paid for the player to return home four days before the tournament, as is customary courtesy for international games. 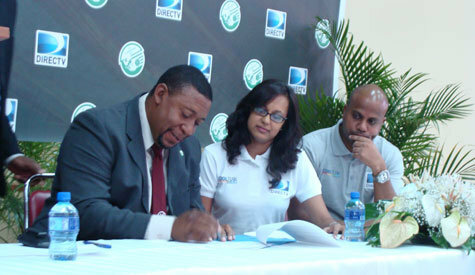 Photo: DirecTV W Connection owner David John Williams (left) inks a deal with DirecTV executives Tamara Ragoonath (centre) and another company official. “Benjamin joined W Connection’s Youth Academy as a seven-year-old and, throughout his career to date, he has played as a forward on the wing or as a striker,” said Williams. 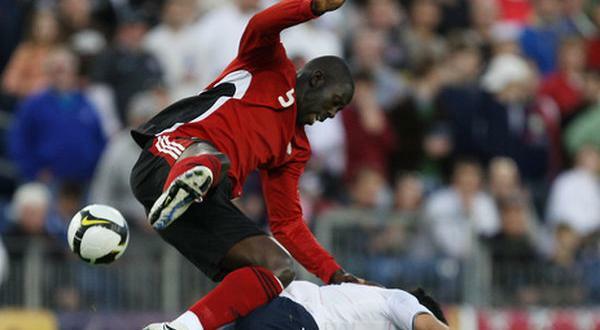 “… At the national level, he has represented Trinidad & Tobago at the U-15, U-16 and U-17 as a forward (and) at Genoa he played and trained as a striker. Williams was unhappy too that Charles criticised his role in allowing versatile defender Daneil Cyrus and striker Willis Plaza to leave for Vietnam, just before this week’s senior Caribbean Cup tournament. 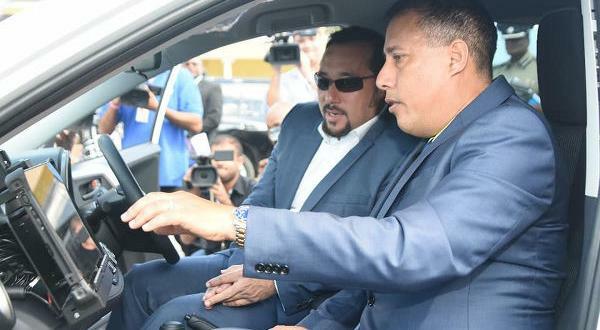 He said that he does not manage Plaza but only helped the former San Jabloteh utility player to secure a deal in Vietnam after a club there requested an attacker in his mould. And Williams insisted that he was not to blame for the unavailability of players outside of the FIFA international window as both club and player also had a responsibility to look after their professional interests. “As a professional football club, we also have to strike the right balance in supporting the national team’s efforts and balancing our club’s financial books by seeking opportunities abroad for our players,” he said, “while at the same time trying to secure their future. Williams claimed that the midfield trio of Clyde Leon, Hughtun Hector and Joevin Jones were also requested by foreign clubs but said he was able to negotiate to keep them with the national team until the end of the tournament. He said that he was unable to arrange a similar resolution for Cyrus and Plaza. 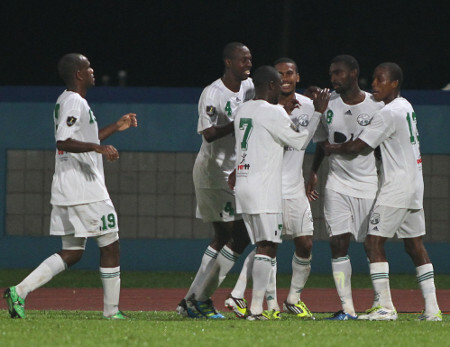 Photo: DirecTV W Connection players congratulate goal scorer and national player Clyde Leon (second from right) during 2012 CONCACAF Champions League action against top Mexican outfit Chivas de Guadalajara. 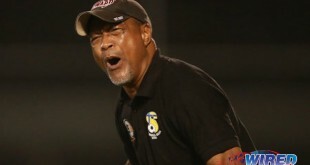 The Connection boss insisted he was committed to Trinidad and Tobago’s cause and noted that his team competed for much of last season—and won the Pro League title—without contracted players like Jones, Winchester, Mikeil Williams, Joel Leslie Russell, Jomal Williams and Andre Marchan who were often on duty with the national under-23 squad. “DirecTV W Connection has supported the national football team’s program in a significant and meaningful way over the years and will continue to do so in the future,” said Williams. “We remain committed to the success of the national football program and will continue to try to find the right balance in the debate between club and country, while at the same time improving the lives of our footballers and securing their future in the game. 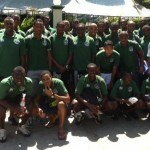 Williams is calling on the TTFF to sit down with the Pro League clubs immediately after this week’s Caribbean Cup qualifiers—if Trinidad and Tobago is successful—to discuss the way forward before preparation starts for the 2012 Caribbean Cup finals in Antigua, which will run from December 2 to 16 and is also outside the FIFA official match calendar. Editor’s Note: The Trinidad and Tobago national under-20 football team was the only outfit that failed to advance from Group A. The Curaçao squad, which beat T&T 1-0, progressed as the best third place side after bettering Antigua and Barbuda in a coin toss.